Home / Latest News / Latest News / Congratulations to Dr. Gregg Zimmer & Dr. James Chmiel for being named "Top Docs"
Castle Connolly’s 2016 list of WNY’s Top Docs includes Amherst ENT’s Dr. Gregg Zimmer & Dr. James Chmiel for the 6th year in a row. Buffalo Spree has been publishing Castle Connolly’s Top Doctors list once a year, starting in 2010. This list is not the only resource to use in making medical decisions by any means, but it is helpful—and interesting. Read the Q&A on the next page to find out more about how the doctors are chosen. A research company based in New York, Castle Connolly Medical Ltd., publishes an annual guidebook titled America’s Top Doctors®. Since 2005, Castle Connolly has been providing Buffalo Spree magazine with the local portion of this list for our Top Docs issue. How does Castle Connolly arrive at this list? The firm conducts a peer-review survey. The idea is that medical professionals are best qualified to judge other medical professionals, and if one recommendation is good (think of your doctor referring you to a specialist), multiple recommendations are better. Castle Connolly’s physician-led team of researchers follows a rigorous screening process to select top doctors on both the national and regional levels. 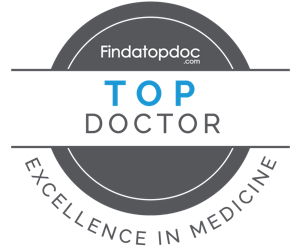 Using mail and telephone surveys, and electronic ballots, they ask physicians and the medical leadership of leading hospitals to identify highly skilled, exceptional doctors. Careful screening of doctors’ educational and professional experience is essential before final selection is made among those physicians most highly regarded by their peers. The forms ask recipients to nominate those doctors who, in their judgment, are the best in their field and related fields—especially those to whom they would refer their own patients and family members. (Doctors are asked not to nominate themselves; nominations are kept confidential.) Castle Connolly asks the nominators to take into account not only professional qualifications and reputation (education, residency, board certification, hospital appointment, and disciplinary record, for example) but also skills in dealing with patients (listening and communicating effectively, demonstrating empathy, instilling trust and confidence). The Castle Connolly staff then tabulates the results and vets the nominee pool, confirming the doctors’ board certification and licensing and investigating their disciplinary history. Does Buffalo Spree have any role in creating this list? No, absolutely not. Aside from including a link to the Castle Connolly nomination site, which helped WNY doctors to participate, Buffalo Spree had nothing to do with the selection process. Does this list have anything to do with whether a doctor advertises with Buffalo Spree? No. There is no connection. In addition, doctors do not and cannot pay to be selected and profiled as Castle Connolly Top Doctors. If my doctor is not on the list, does that mean he or she’s not a great doctor? Many doctors do, but there are many new doctors on the list each year, too. Because established, well-known doctors are exactly that—established and well-known—the list may favor that kind of physician. That may mean fewer new choices each year, but it also means the list is inherently conservative. Given the importance of choosing a doctor, Castle Connolly views that as a healthy bias. It doesn’t necessarily mean anything; it certainly shouldn’t be taken as proof of a drop-off in the doctor’s effectiveness. Getting on the list once doesn’t guarantee a doctor a “lock” on a position; the selection process begins anew every year.